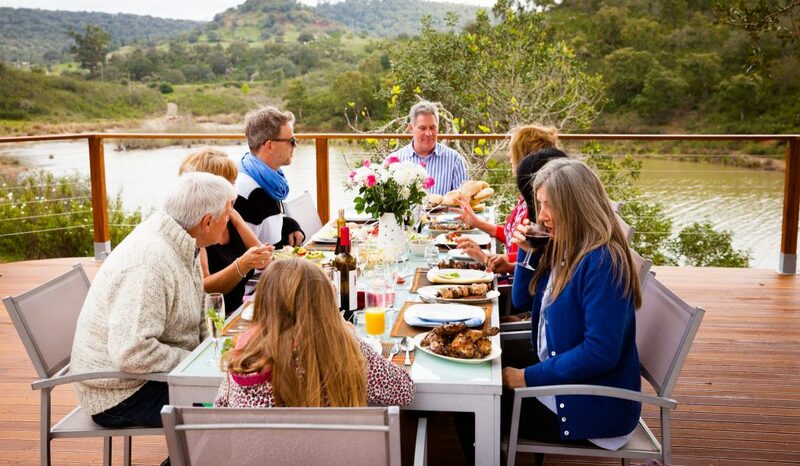 On the banks of the Funcho river this celebration venue is perfect for small group special occasion event celebrations. 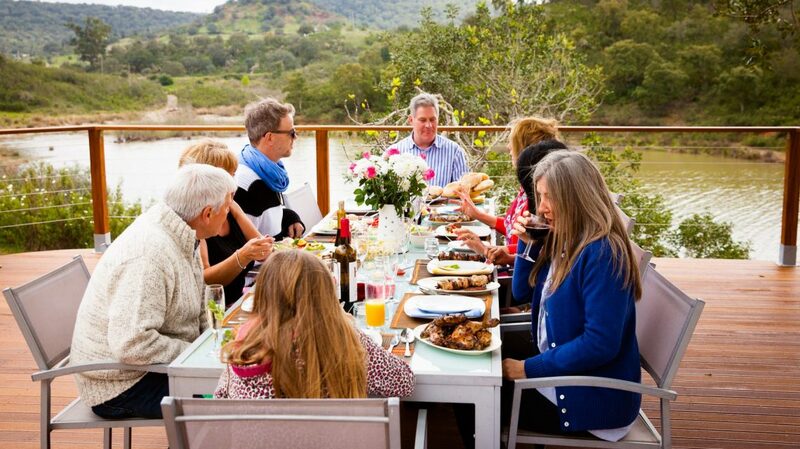 From a birthday party event, a special occasion or family get together, Figs on the Funcho could be your ideal sunny location in Southern Europe, Portugal Algarve. The riverside location is very peaceful and private with lovely double rooms with large decks outside offering panoramic views of the countryside and river. Book our cook for your party and select your homemade favourite dishes from the cold and hot buffet menus or ask us for our favourite recommendations for eating out. Enjoy sunset cocktail drinks on the Pool Deck whilst the sun goes down, a perfect sunset backdrop for those unforgettable photographs. 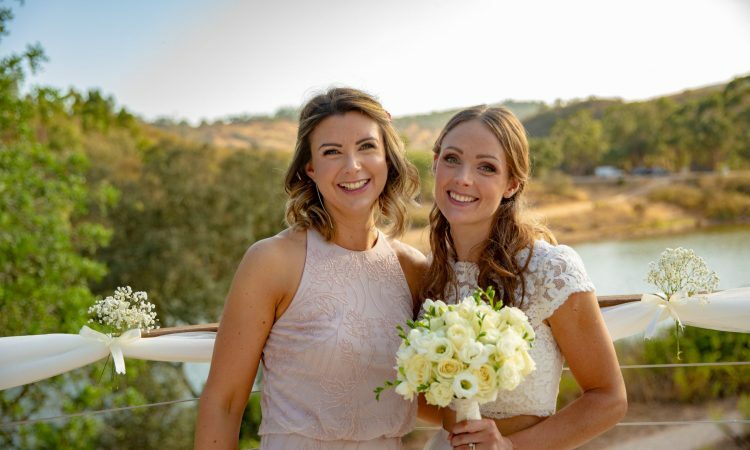 Stroll over to the Waterfront Deck with scenes of the hills to celebrate you special occasion. Dine under mature carob trees hung with lanterns that create a magical atmosphere. 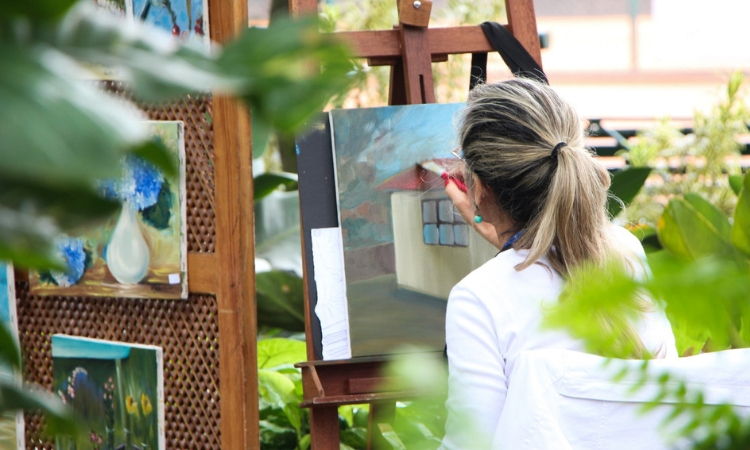 And there is loads of fun and activities onsite to enjoy when visiting Figs on the Funcho. Enjoy a relaxing swim, in the infinity pool, with martini seat, offers magnificent views of the surrounding hills and river. 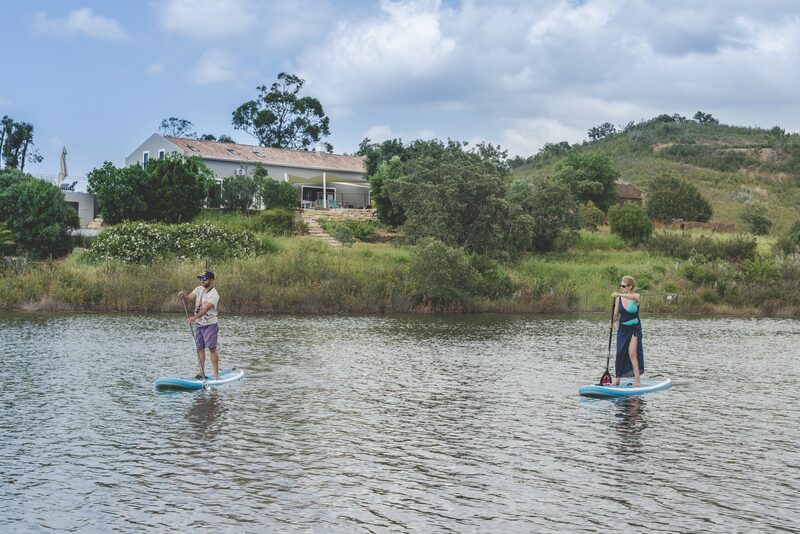 Book an on-site stand up paddle (SUP) boarding experience, by a registered Portuguese tour operator with ASI certified instructors. This activity is growing in popularity and it is easy to pick up. You stand on a short board and propel yourself along using a paddle. 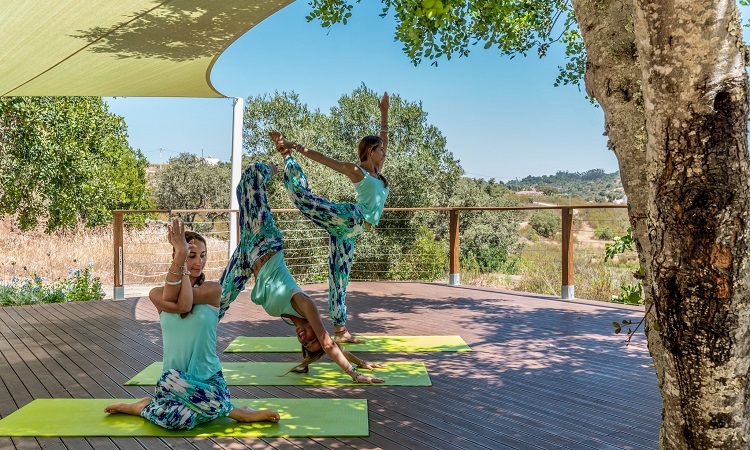 Relax and treat yourselves to a massage or group yoga work outs. A well known, sign posted, walking track, Via Algarviana, just outside the gates, has views of the Barragem do Funcho and makes it an ideal activity to include in your group activities. A wine tasting experience is a wonderful way to discover Portugal’s finest wines at the award-winning wine cellar, Veneza, nearby in Paderne. 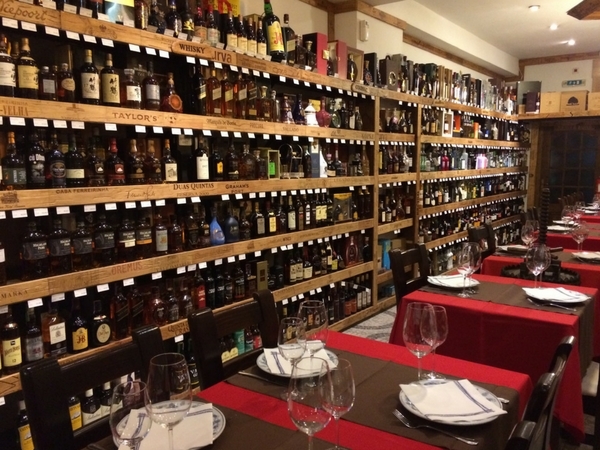 Their collection of port and wine is nothing short of extraordinary. A cosy and informal setting to enjoy their delicious algarvian barrocal dishes and Portuguese wines. Be adventurous and join Hugo on a quad bike adventure. Hugo is a 10 minute walk from the villa. 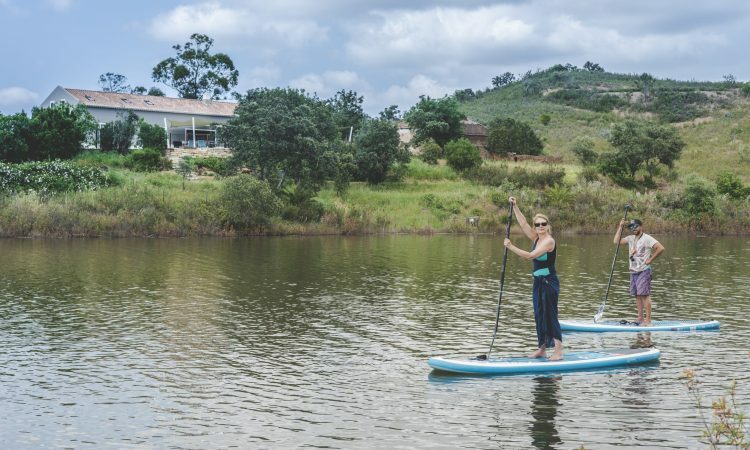 The adventure includes exploring the countryside, wild swimming and lunch at a typical Portuguese restaurant. 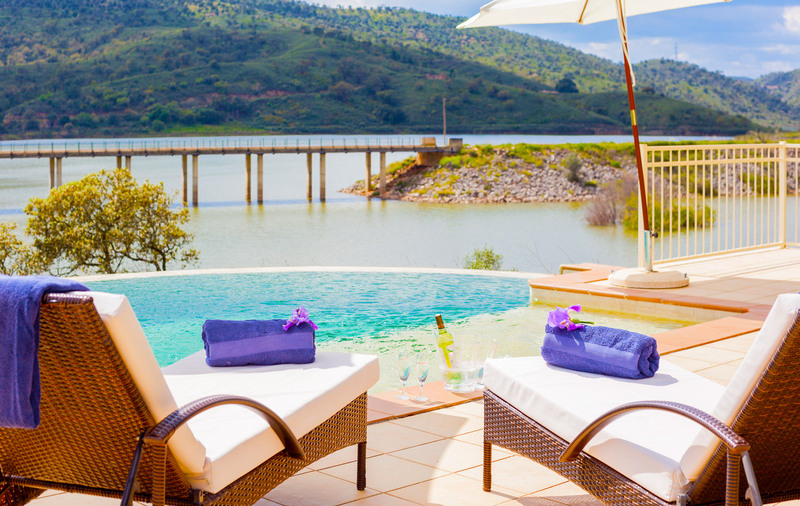 If you fancy experiencing wild swimming in the Alte waterfall and cool natural springs , this is highly recommended for a relaxing day out, whilst Portugal’s finest Moorish castle is located just 15 minutes away in the historical town of Silves. Our Things to Do page has more activities and information for you and your group to choose from. Just contact me and relax!